ocated in the Fiji Islands premier destination, the Yasawa Islands, Mantaray Island Resort epitomizes the perfect Fiji holiday. Boasting idyllic white sand tropical beaches, vibrant coral reefs, a marine reserve teeming with life, fantastic cuisine, refreshing cocktails, chilled out tunes and a close affiliation with the local village, Mantaray Island Resort offers the complete Fiji Experience. Whether you want to unwind in a hammock with a refreshing tropical drink, explore the marine reserve located directly off the beach, or visit the local village, our Fijian resort offers the perfect combination. 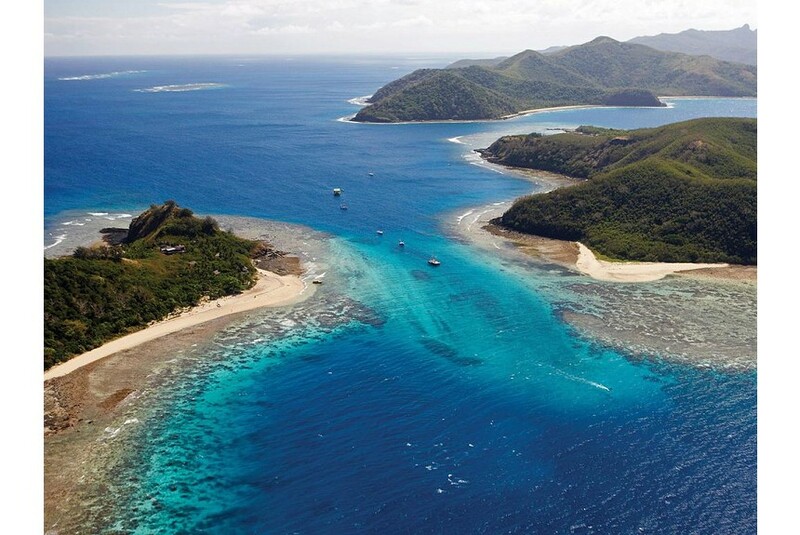 We boast some of the best swimming with the manta rays, snorkeling in Fiji and diving Fiji has to offer. With over 40 dives sites within 20 minutes of the resort, the Mantaray Dive Team will guide you through one of the world’s most pristine tropical marine environments.